FORT LAUDERDALE/DAVIE, Fla. – Talk about a perfect location. NSU is joining forces with Free Our Seas and Beyond, Broward County and the City of Hollywood to host the second annual “Free Our Seas and Beyond Environmental Art Festival.” While Earth Day falls two days later, in order to allow more people to attend, this event is scheduled for 9 a.m. Saturday, April 20th. The MEEC is located at 4414 N Surf Road on Hollywood Beach. The festival, which is free and open to the South Florida community, kicks off at 9 a.m. with a community beach clean-up sponsored by the SURFRIDER Foundation of Broward County. Then, from 11 a.m. – 4 p.m. original and inspiring works of art will be showcased for everyone to enjoy. The family-friendly event includes live musical performances, food trucks, children’s activities, environmentally friendly vendors, a non-profit ocean conservation zone, a community art installation and more. 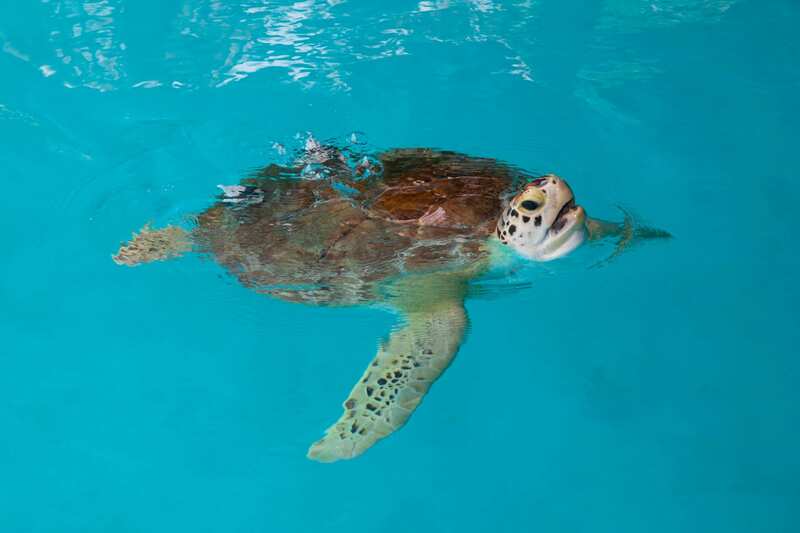 And the must see event of the day is when Amy Hupp and her team at the MEEC take time for Captain the resident sea turtle’s lunchtime feeding! This is always a hit with families – and a great photo opportunity. Hupp said that she and her staff work to engage residents and visitors by increasing conservation awareness and action in a way that ultimately results in greater protection of the marine and coastal environments. Harnessing the power of art and community, the festival emphasizes our interconnectedness with the ocean through creative and inspiring art. At the inaugural event last year, more than 1,500 visitors enjoyed a sunny day filled with nature inspired exhibits, as well as upcycled and recycled environmentally themed pieces.